"Dialogues in Jazz" audio interview with Jim Wilke from "Jazz After Hours"
An autographed CD of "Tales of the Pilot, Bud Shank plays the music of David Peck" from Dave. Welcome to the Tales of the Pilot Mail Order Participant Offer. 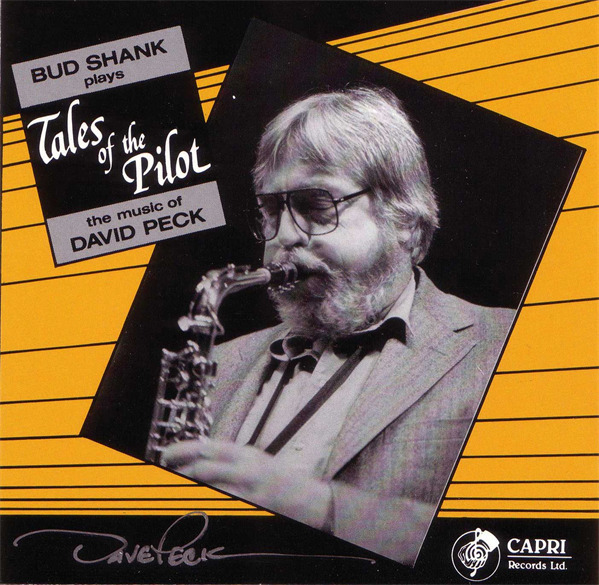 In 1989 Bud Shank and Dave recorded a CD of Dave's compositions titled "Tales of the Pilot, Bud Shank plays the music of David Peck". Jazz Journal International said "This is more than just a horn plus rhythm section group. Shank along with the brilliant David Peck play with great originality and purpose and could well mark the beginning of a new era of West Coast Jazz." I am so pleased to be able to offer this album for you to hear along with a series of conversations that Jim Wilke and I had about the making of the albums and stories from our shared history in Jazz.